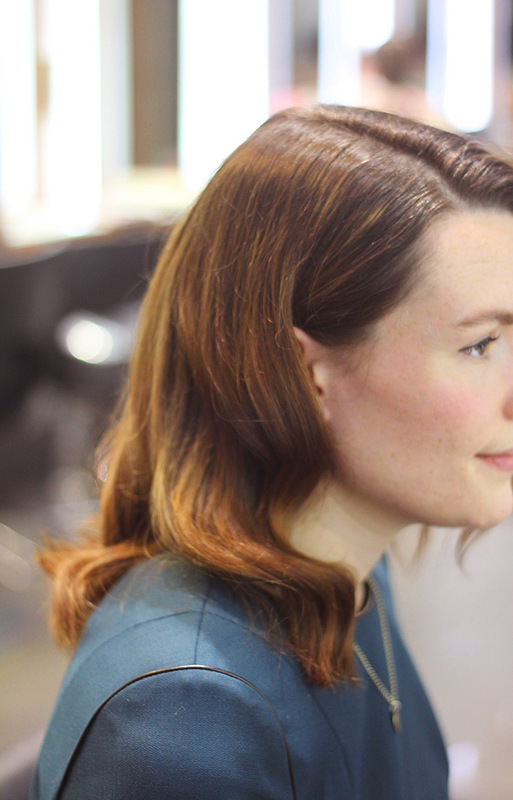 All you need is a pair of curling tongs (Headmasters use GHD tongs), a can of hairspray and a brush. 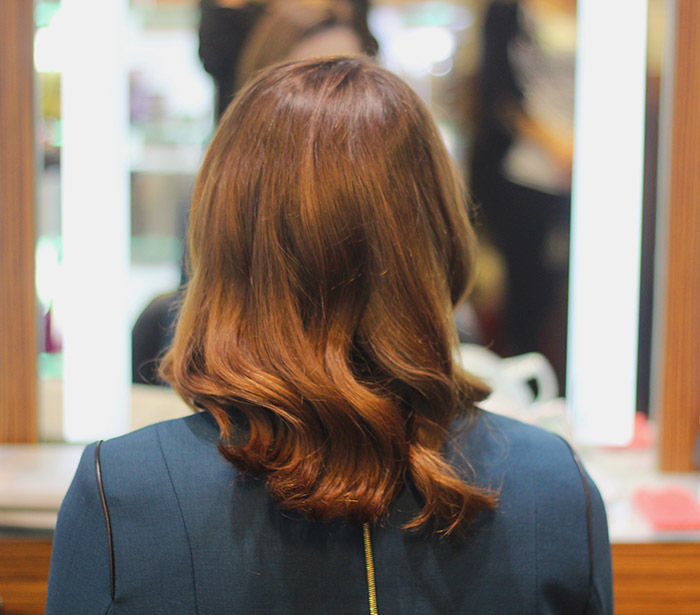 To begin the transformation, Abbey at Headmasters Mayfair salon washed my hair and roughly blow dried it with her fingers (no barrel brush required). 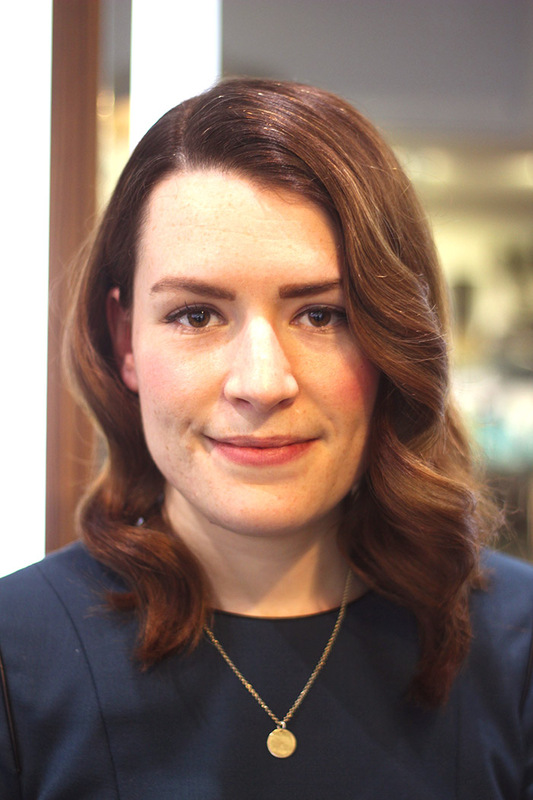 I usually wear a centre-parting, but for a dose of 1940's glamour only a deep centre parting is apt. Once my hair was dried, Abbey heated up the curling tongs, sectioned my hair and wound lengths around the barrel. For this look curl the hair towards the face - curling the hair outwards creates Farrah Fawcett flicks. After tonging each section, leave it to cool to 'set' the curl in place. 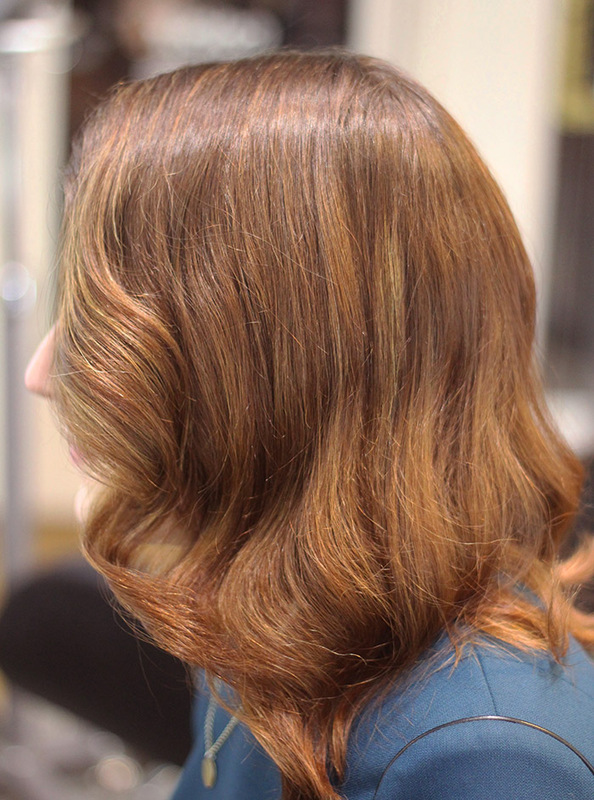 Once the whole head has been tonged, the key to achieving this look is to brush through the curls. Don't be scared - they won't drop out - they will soften and create this beautiful 1940s look. Then mist lightly with hairspray (I like Elnett) and you're done!